I am an Amateur Radio operator (Spanish callsign EA4GPZ, UK callsign M0HXM) and I am especially interested in the scientific and technical aspects of radio. I hold a PhD in Mathematics and a BSc in Computer Science from Universidad Autónoma de Madrid. The topic of my PhD thesis was Operator Theory. It can be read online here. Though I still enjoy pure mathematics and like solving mathematical problems, I don’t do research in mathematics any longer. Currently, I work as a GNSS engineer at GMV. My main duties are the development of GNSS receivers and signal simulators for the GPS and Galileo systems. My research interests encompass anything having to do with radio, even if only tangentially. Some of my usual topics involve space communications (especially small satellites), using RF for the purposes of measurement (radar, Doppler measurements, polarization, etc. 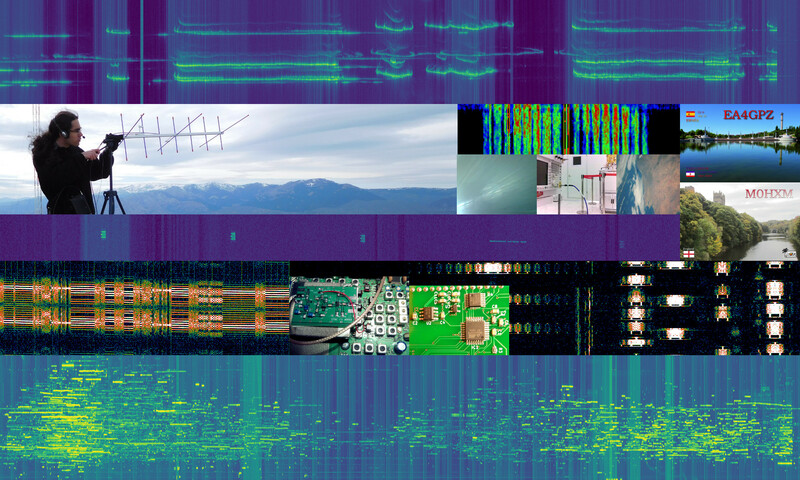 ), and processing RF recordings to extract data. I usually perform my research rather informally, since I do it in my free time for fun and personal development. Recently I’ve become interested in other topics such as orbital dynamics and radioastronomy. I also like applying advanced mathematics to these problems. In this blog I keep a record of my projects and experiments, both for future personal reference and for anyone interested in them.